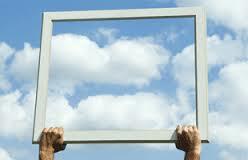 What is Meant by Professional Transparency in Your Organization? Networking while employed and performance appraisals are becoming increasingly ineffective due to the explosive growth in professional transparency. As recently as seven years ago, unless the subject of your search was your favorite movie star, rock star, or politician, your ability to find details about another individual was challenging. This was not due to your faulty research skills – information about an average individual simply did not exist publicly. In fact, information about others was so absent in the not-too-distant past, the thought of seeking out personal or professional details regarding another person would not have even occurred to you. Today, individuals you have never met, from anywhere on the globe, are instantly finding out more about you than any other time in human history. Whether they are at their desk in a towering glass office building, sequestered in their basement at their suburban home, or lounging at their favorite cappuccino bar, they can instantly access volumes of information about you with only a few keystrokes. Fortunately, some of this information is beneficial to your profile. Unfortunately, some of this information you would prefer to keep private. Recently, I attended a social media presentation that was hosted by the president of a regional marketing organization. To show the power of Google, one of his colleagues googled the president’s name as the president was speaking, and a lot of information appeared behind him on a screen. Unfortunately, one of the items on the screen was a link to a court document detailing his recent divorce. Although it was in clear view to the audience, this leader never turned around to see the link and his colleague never said a word. I doubt that this is information he would have chosen as a backdrop during his presentation! At the same time, you are able to tell people about yourself with greater ease than ever before. If you go back a few short years, before Facebook and Google, the ways to share information about your accomplishments and background were limited to a resume. Your primary strategy was face-to-face, one-by-one conversations with others. Transparency was low. With technology like Facebook, Google, LinkedIn, and YouTube, you have the ability to increase your personal and professional transparency and instantly share information about yourself with millions of people. At the same time, organizations across the globe are seeking ways to increase employee transparency. Technology is providing organizations the ability to build internal platforms (ala Facebook and LinkedIn) that allow their employees to build a profile and share information about themselves that are critical to the business. Employees can post a picture, and list their competencies, certifications, degrees, sample projects, work history, and interests. Internal decision makers, hiring managers, and colleagues can subsequently mine for talent internally before looking externally. What is Meant by the Pace of Change in Your Organization? Networking and performance appraisals are becoming increasingly ineffective for employed business professionals due to the pace or how quickly you are expected to change. 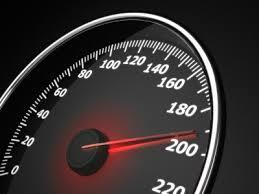 You are being asked to do more with less, and do more, faster. Listen to Virginia Rometty, the Chief Executive Officer for IBM. The headline of a Wall Street Journal article published in April 2013 boldly declares “IBM’s Chief to Employees: Think Fast, Move Faster.” With so many changes occurring within your industry and your markets, your organization needs you to change faster. What is Meant by the Frequency of Change in Your Organization? Frequency refers to how often change occurs. There was a time when organizations were proud of their stability and consistency. Acquisitions were infrequent, co-workers with whom you attended new hire orientation twenty years earlier still were around to join you for lunch. A hard day’s work provided you job security. Words like “right-sizing” and “down-sizing” were not in the dictionary. Your job description had not changed for years. Today, mergers and acquisitions are daily event. Yesterday’s technology upgrades quickly become obsolete. Roles, responsibilities, and relationships change faster than a name plate on a cubicle. If you are like so many others in your organization, you had had three to five bosses in the past five years. Kevin, a client, shared with me that the boss with whom he wrote his annual goals was not, for three years running, the same boss who reviewed his achievement to his goals at the end of the year. Another year, another boss. In a March 2014 poll conducted by Inc. Magazine, 28% of the respondent’s business models changed in the last five years; 36% of the respondent’s mix of products and services changed; and 47% of the respondent’s financial structure changed.7 I frequently speak with clients who have received emails that a workgroup – for example, account management – has reorganized their staff and function, effective immediately. These same clients attest that it feels like the same workgroup just reorganized six months earlier! I worked with a client company whose leadership and organizational structure was relatively the same for almost forty years. This same organization has changed its leadership and “go-to-market” structure three times in the last six years. Networking is and will continue to be an important professional activity for business professionals. In fact, 60 – 70% of employed individuals located their most recent job opportunity through networking. In a poll I conducted on LinkedIn, these numbers were corroborated when 59 percent of 1339 respondents chose the category “by networking with friends and colleagues” as the strategy that led them to their most recent job. Therefore, networking was three times more effective as using an on-line job board and almost three times more effective as using a recruiter. – practice how they verbally and visually present themselves to others. – polish how they describe their goals, needs, and capabilities. – meet colleagues who can introduce them to others who can help them. – connect with colleagues whose work complements their own, creating new synergies and opportunities. – hear what others are doing which may generate new ideas for them. – try out new looks in their wardrobe, ensuring their wardrobe is polished, up-to-date, and ready for interviews and meetings. – create opportunities for others to give them feedback on what they are doing that works and what they are doing that could improve. – catch up with old friends and be reminded that they are not alone. By and far, networking is the most effective strategy for business professionals to land a job and self-employed business owners to generate revenue. Being accessible is not just having an “open door policy” or ensuring your team knows your cellphone number. Accessibility is about creating an atmosphere where your colleagues can reach you – even interrupt you – and leave the interaction with a positive feeling. 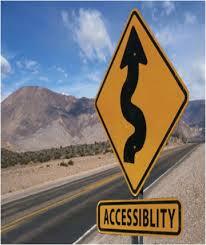 Accessibility is the degree in which colleagues can reach you and benefit from the interaction. Your office door is always closed. Are you accessible? Perhaps you possess low self-awareness of how your behaviors in your organization diminish outreach by others. You can be heard decrying “No one ever tells me anything!” and “How come I am always the last to hear about these things?” When you think about it, you may discover that you are less accessible than you think you are. Do any of the following characteristics seem familiar to you when you think about being accessible to others? You rush frantically between conference calls or meetings with little time to talk to others. You get easily annoyed when a colleague reaches out to you (especially if the outreach feels like an interruption). Your back faces the entrance to your office or workstation. Your interactions with your colleagues never seem to benefit them. No one comes to you for help.